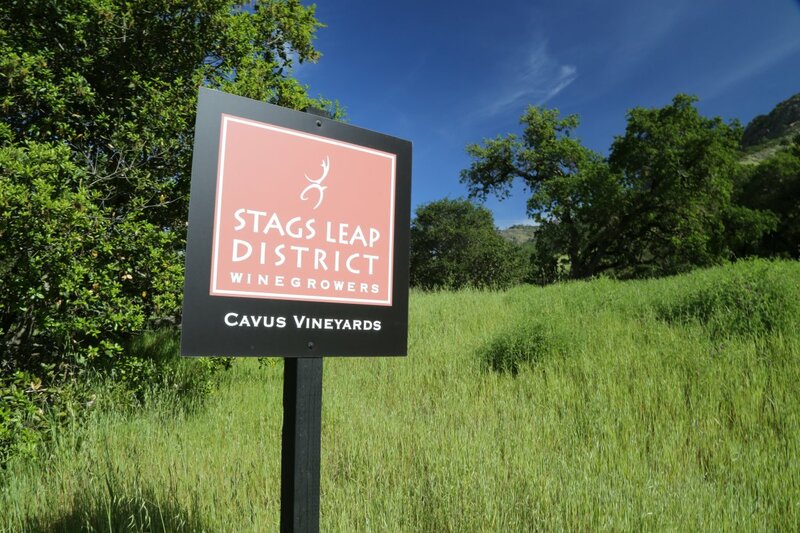 Cavus Vineyards is a slightly less than 2 acre vineyard on the east side of the Stag’s Leap District almost directly above the well-known Fay vineyard (one of the most historic vineyards in the Stag’s Leap District). This is certainly a decent vineyard neighborhood and the views aren’t half bad either! Cavus is owned by Darryl and Laurel Browman; their top winemaking team includes vineyard manager Jim Barbour and winemaker Dave Phinney (Orin Swift). The vineyard is more than 20 years old and when the Broman’s purchased the property, it was already planted mainly to Cabernet Sauvignon, with small sections of Cabernet Franc and Merlot. Their property is actually 14 acres and a winery permit was already grandfathered in when they made the purchase. This is prime steep rocky hillside Stag’s Leap terroir. Today with county regulations you would not be able to plant new vines here because of the steepness of the land. This makes is necessary to do everything by hand and the vineyard is meticulously maintained throughout the year. The vineyard faces northwest and as a result of its location and elevation has excellent exposure to the sun. With that said, this part of Stag’s Leap is actually quite windy and the wind provides a moderating influence – the hang time is actually quite long. It is always a rare treat when we meet a Stags Leap based producer or winery as relative to the total amount of time we spend on The Napa Wine Project, we spend so little time in Stags Leap. The reason for this is there are very few producers and wineries in the region; there are only 16 members of the Stags Leap District Winegrowers Association. 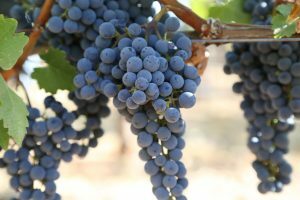 Furthermore its not an appellation that has seen an influx of new producers in the last 10-15 years like many of Napa’s appellations. The vineyards in this appellation are also fairly well established. Cavus Vineyards is certainly one of the smallest stand alone vineyards in the appellation. 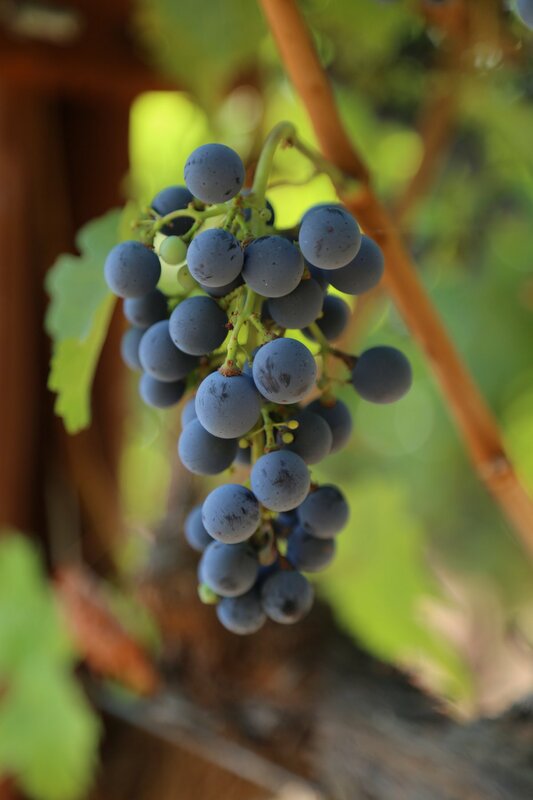 Cavus makes one wine each year – and with the vineyard grown on rocky soils and the fruit that is dropped throughout the summer their production is usually only around 200 cases. Their first commercial vintage dates from 2004. We tried the 2008 Cabernet Sauvignon (not yet released at the time of our tasting) – this wine is roughly composed of varietal percentages based on the proportion of vines in their vineyard – 94% Cabernet Sauvignon, 4% Cabernet Franc and 2% Merlot. The bouquet is ripe, but not overly so. It is voluptuous, inviting and very aromatic with aromas of blackberry, black currant and more subtle notes of cedar. The mouth feel is rounded, soft and seductive with slightly dry dusty fine grained tannins (almost a bit gravelly) anchoring the finish. It is a pleasing palate that has intensity as well as a wide range of flavor. This wine is certainly approachable while young yet has the fruit, acidity and decent structure to age for a number of years. The story behind the name Cavus truly hits home for Darryl and Laurel. Every year Darryl and a few friends choose a ski and wine drinking destination somewhere in the world. In 2006 that destination was the slopes of the Andes in Argentina with the wine comforts of Mendoza not too far away. They were actually thinking of going to Siberia this particular year but the Andes were a bit closer to home and the ski resorts had better support in case one got into trouble on the slopes. One day while the three friends were skiing the back slopes they discovered they had gotten lost. They ended up descending a mountain and ultimately tried to go lower to get below the snow level. They ended up walking for most of the day on their downhill skis and eventually crossed a river several times. They later found out there were no towns for over a thousand miles in the direction they were walking. By nightfall they realized they had to take shelter so they dug a snow cave and squeezed in – temperatures that evening got down to minus 20 Fahrenheit. By this time the proprietor at the hotel where they were staying noticed they never showed up – she immediately called the ski patrol. A rescue team tried to locate a helicopter to send out but the closest one in Bariloche couldn’t make it for quite some time. In the morning the friends decided to backtrack and had the foresight or luck to spread out in single file for some distance. The person who was last in line somehow spotted a snow-cat way in the distance and was able to attract its attention. A three hour ride back, hospital stays and significant time spent recovering followed. “Cavus”, or “cave” in Latin is a tribute to their survival, good fortune and good friends. With such a small production the wine is selectively distributed – mainly in California, Texas and New York. You can find the wine locally at times at ACME Fine Wines in St. Helena (actually the first shop to sell their wines) and Backrooom Wines in the city of Napa. Visit: www.cavusvineyards.com for more information and to join their mailing list.